Agriculture officials and experts are voicing strong criticism of the government’s farm policy and its performance. 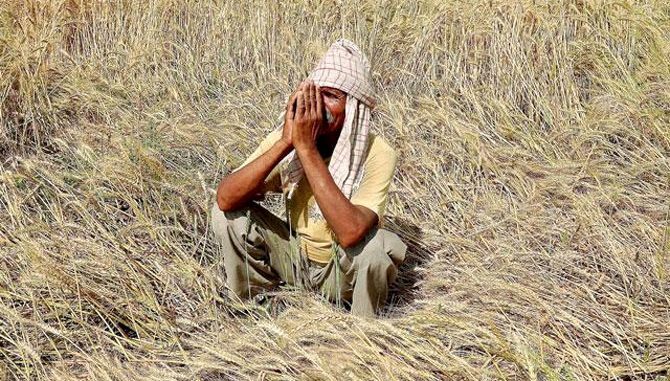 With the recent upsurge in farmers’ movements and growing resentment over their accumulating problems, farm policy and its implementation have faced increasing criticism in recent months. While such criticism from opposition leaders and farmers’ movements is expected, it is interesting to note that even agriculture officials and ministers having expertise on this issue have voiced serious concerns over some aspects of farm policy and performance. In an interview published in the Statesman on August 12, Mangla Rai, former director-general of the Indian Council of Agricultural Research and ex-secretary of the Department of Agriculture Research and Extension, expressed serious concern about some aspects of agriculture in India. While much has been said on both sides of the debate on genetically modified (GM) crops in recent times, one interesting aspect that has received relatively lesser attention is that there are important critics of the pro-GM crop policies within the government and its close allies. In the states growing mustard as an important crop, several politicians have said they are against GM mustard because they feel they cannot ignore the interests of the farmers in their constituency or their state – whatever their political allegiance is. Perhaps the most well-known and strong critic of GM crops within the government is the Union minister for Women and Child Development Maneka Gandhi, who has been publicly articulating her views on the rapid erosion of India’s biodiversity. Writing in the Statesmen, she took up the issue of threatened bees in an article titled ‘On the brink of a crisis’. When a senior minister with recognised expertise in the subject says that her warnings against the use of highly dangerous pesticides have been repeatedly ignored by the government and as a result, people and pollinators have been dying, then it surely is an important matter. Such public interest criticism by a senior minister needs to be taken seriously. Bharat Dogra is a freelance journalist who has been closely involved with several social movements and initiatives.